A guide to reaching the summit of every country in Europe - driving, walking and climbing routes to the tops of 50 countries in Europe. Detailed route descriptions, sketch maps - advice on transport, seasons, grading and gear. From afternoon strolls in Malta to three-day mountaineering ascents on classic Alpine routes such as Mont Blanc. for the authors, it was Hvannadalshnukur in Iceland but each reader will have their personal favourite.. Scafell Pike (England)? Mount Elbrus (Russia)? Rysy (Poland)? This book is divided into 48 chapters covering the high points of 50 European countries. Each chapter contains basic information about the country (or countries) and its (their shared) high point, including how to get there, the difficulty of the route and equipment needed, relevant map and a detailed route description (or descriptions). A sketch map showing the route/s is provided for each high point. Indications are given of the time needed to complete each route, rather than the distance, as the latter is often misleading on mountainous terrain, and distance can be diffcult to gauge accurately for many of the more far-flung routes. Although the routes are accompanied by sketch maps, whenever possible you should take a detailed topographical map of an area. Again, when possible, details of suitable maps are given. Unfortunately, due to the remote and little-visited nature of some of the places described, it may be extremely difficult to get your hands on a decent map. When this is the case, searches online can occasionally bring up useful maps. Maps for these areas are often outdated and inaccurate and a degree of caution is therefore required. We have tried to make the route descriptions as clear as possible in case you cannot find a decent map to assist your ascent and descent. Some good map suppliers include: Stanfords, tel: 0207 836 1321 www.stanfords.co.uk; Elstead Maps, tel: 01483 898099 www.elstead.co.uk; and The Map Shop, tel: 0800 085 4080 www.themapshop.co.uk. Certainly requires the protection of a rope or via ferrata kit. Likely to involve exposure to steep terrain and may involve climbing, crevasses, risk of avalanche or rockfall, very low temperatures and high altitude (in addition to the difficulties of a grade 3 hike). Full alpine kit required. Prolonged exposure to high altitude, steep terrain, narrow ridges, climbing, crevasses, avalanche and risk of rockfall. Likely to involve very low temperatures. If severe weather is encountered retreat may prove extremely difficult. These ratings are based on our own experiences on the mountains. They correspond to the difficulty of the primary routes we have described on the peaks and there may well be easier alternatives. For alpine ascents the official UIAA ratings are also included. The course of the Ural River southwest of the Urals makes a relatively small proportion of Kazakhstani territory European. 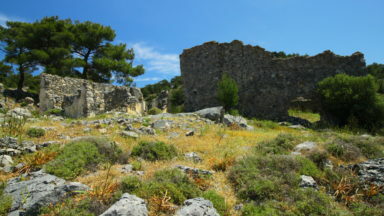 The high point of this area is Gora Ichka (259m) about 10km north of Tasqala. Like Turkey’s Mahya Dagi, it is not a national high point and not really worth crossing the Kazakhstani border in order to climb. The high point of Kazakhstan is the mammoth Khan Tengri (7010m) and firmly in Asia on the border with China and Kyrgyzstan. In 2014 separatists in the Donbas region of Eastern Ukraine declared independence. This has led to an ongoing war in which Russia has backed the separatists. However, it is highly unlikely that an independent state will be recognised in Eastern Ukraine any time soon. The parliament for the Catalonia region of Spain declared independence after an unofficial referendum in October 2017. As of June 2018 there remains the possibility of an independent Catalonia, but it is unlikely to happen in the coming years. The high point of Catalonia is Pica d’Estats (3143m) in the Pyrenees. The Belarus high point seems to have seen an increase in visitor numbers (possibly in part due to Europe's High Points). It is now clearly signposted from the road and the area around the carved stone is a landscaped garden. It is possible to reach the high point quite easily by bus from Minsk. Buses leave 2-4 times a day to Volma/Волма, times available from http://ticketbus.by/ allowing 40 minutes to visit the high point before returning back by the same bus. Departure is from Southwestern (юго-западный) bus station or Krasnaya Gorka metro. After leaving Minsk, the bus takes the P65 towards Dzerzhinsk, then turns off right to Skirmantovo/Скирмантово. Get off at stop Скирмантово-1, which is located 3.5 km after a turn. You should request a stop when you see three poles next to a house on your right hand side. Alternatively get off at the next stop in Скирмантово village and walk back along the road until you see the sign for the high point Дзяржынская гара. The cable car is now known as the Yastrebetz gondola. 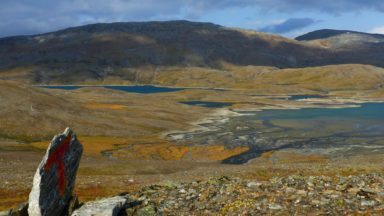 Between 2015-17 there was a campaign for Norway to gift Finland a small tract of land to celebrate the 100th anniversary of Finnish independence. The Halti massif straddles the border between the two nations: Finland’s current high point is the border marker at 1,325m on the subsidiary summit spur named Hálditšohkka, but the spur’s main 1,331m summit – over which our route passes – lies 50m or so to the north in Norway – an amusing proposed marginal shift if ever there was one! Although the proposal gained much publicity, Norway eventually decided to leave the border where it is. Rockfall risk in the Grand Couloir has worsened since 2009 and it has on occasion been known to effectively cause the Gouter Route to close. The Grand Mulets Route continues to be used, but crevasse conditions remain dire and it often becomes virtually impassable from July onwards. Climatic warming may therefore make the three peaks route via Mont Maudit the safest option in future, if it is not so already. The route we describe in EHP has reassuringly received new signage from the Erenic settlement and has seen increased footfall since 2009. Good visibility is a must and a cautious approach should nonetheless be maintained. The famous large red tower at Gaizinkalns was demolished in 2012. It was never completed and was knocked down due to safety concerns. (It was definitely in an unsafe dilapidated state when one of the authors ignored the warning signs and climbed it in 2005!). The Latvians have since built an amusingly nostalgic mini version of the tower. There is now a viewing tower next to the summit stone. Since publication in 2009, the situation has vastly improved for those climbing Korab from Macedonia. The restrictions on climbing the mountain have been lifted as political tensions have eased in the area. It is now possible to climb the mountain at any time of year, although the mass ascent at the beginning of September is reportedly still popular. The military and police presence in the area is now more low key and the guard dogs and razor wire at the Pobeda watchtower in Strezimir are thankfully long gone. 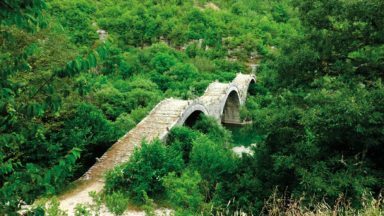 It may still be advisable to stop at the police checkpoint on the bumpy road up the Radika valley and report your presence. However, our described route goes over Kepi Bard (that we referred to as ‘Mal Korab’ in the EHP text – our map was out slightly here and the line should not have gone over the 2344m spot height, but over the Kepi Bard spot height of 2589m roughly following the line of the border). Kepi Bard was a scenic and rewarding approach to the summit. Reportedly, a more common and popular approach is to continue after the grassy slopes of Nistrovski Korab and take the path that traverses westwards across the south flank of the Kepi Bard ridge, overlooking the large grassy area of Kobilino Pole (Mare's Field) – this is the line shown by our EHP map. There is no change in our advice to not attempt to summit from the Albanian side of the mountain. As of 2018 Dobra Kolata and Zla Kolata, 2528m and 2534m respectively, are widely recognised as the two highest mountains in Montenegro – with the Montenegrin-Albanian border acknowledged as going directly over their summits. The two peaks are also consistently marked on the much improved modern maps available for the area. The highest peak of the Kolata massif is Rodi e Kolates (Maja e Kolijats) 2553m, which is actually in Albanian territory. The third-highest peak in Montenegro is generally considered to be Maja Rosit (2525m). However, despite the appearance of modern mapping for this area, it is still desperately in need of an accurate modern survey, and the exact heights of these peaks may well be subject to change in future. 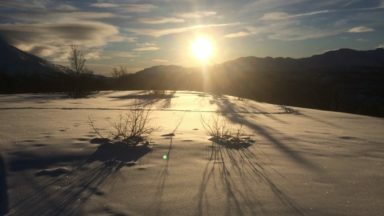 Nonetheless, basic surveys and other collected data have continued to find in almost all instances Zla Kolata and Dobra Kolata to be higher than Bobotov Kuk – the formerly recognised official highest mountain in Montenegro. That said, there is very little in it, and high pointers should definitely ascend both Dobra Kolata and Zla Kolata to cover their bases. Likewise, they might well feel it prudent to ascend Bobotov Kuk (2523m) in the Durmitor Range – a description we include here. We remain confident Maja Rosit is lower than Zla and Dobra Kolata. The new waymarked route starts beside the mosque in Vusanje with a signpost to Zla Kolata. It may well be that the army barracks in Vusanje referred to as the start of the route in EHP is being used for another purpose, reflecting a decrease in military tension in the area - although this is not confirmed by the authors. Maps - Serbian Geokarta 1:50,000 map Stara Planina, Bulgarian Domino 1:50,000 Stara Planina 3. The access road for the ski development near Babin Zub appears to have been improved: at the end follow the sign to Babin Zub hotel up a side road and ignore a sign to Falkenstein hotel on the new main road. The area is apparently no longer a controlled area; it is now a Nature Park, with signposted routes. Due to safety concerns, instability and previous terrorist attacks perpetrated in the Elbrus area it is essential to check with the FCO www.gov.uk/foreign-travel-advice before making plans to travel to the region. The mountain was the scene of the high profile shooting of three tourists and bombing of a ski lift in 2011 which led to Russian forces carrying out air strikes in the area in the hunt for Islamic militants. Removal of fixed ropes! Previously, climbers doubting their physical or technical capabilities could consider the far easier alternative fixed-roped route from Silbersattel the col between Nordend and Dufourspitze. However, the fixed ropes were damaged by rockfall and removed in 2016 and although they may be replaced in future, the condition of that route for both ascent and descent needs to be checked before setting out. For descent, a reverse of the ascent route is presently the norm. However, a more rounded alternative is still possible to Silbersattel (the col between Dufourspitze and Nordend) if prepared for minimum 40m abseil pitches (i.e. two ropes of 40m needed, good anchors). Ararat, a firmly Asian national high point, is presently affected by even greater ethnic tensions and the spillover from several conflicts than in 2007. Tensions between Kurds and Turks in the area are more serious than ever. The war in Syria, the wars against Isis, the declaration of Kurdistan as an independent state and any number of other events have made the region increasingly volatile. It is essential to obtain up-to-date information before setting out and though we are never keen to recommend being part of a guided group, in the case of Ararat it is virtually unavoidable and probably a much safer option. This book is so simple to search through and pick out the information you require. A lot of thought and research has gone into this book and it's noticeable.... A brilliant book! 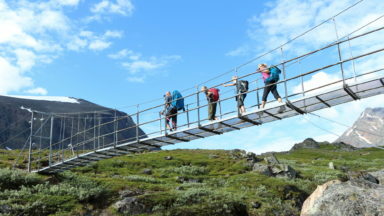 Click here to read the full review: Europe's High Points, a review from UK Active Outdoors. “Some of Europe’s high point are more accessible than others” Well, true; especially when you define the dome of St Peter’s Cathedral in Vatican City as one of them. Fortunately, this guide is stuffed with enough information guidance and observation to engage anyone with an interest in either mountains or pub quizzes. This is a coffee table or loo-side book in the sense that it rewards quick browsing and picture surfing, but it is also a manual and practical guide. Some high points are tough by virtue of height or size, others for technical reasons. ‘Ticked off all the munros and Wainwrights and after a new challenge? This book might just fit the bill: it includes facts and figures, amps and walking/climbing instructions for the highest points in every European country – 48 in all. It provides all the information required to inspire a host of high-level road trips and enough practical tips and advice to lend it weight. The two authors of this book clearly like a challenge, and they started bagging Europe’s biggest peaks, they couldn’t stop. From Elbrus to Mont Blanc, and taking in plenty of smaller and stranger highpoints, this book brings together clear and detailed route descriptions of peaks across the continent. As well as the more well-known summits, we also enjoyed reading the lesser known, disputed and just plain unusual highpoints featured here, which gave us plenty to talk about down the pub. It’s such a simple yet ingenious idea that it’s amazing no-one’s done it before. This is a guide to climbing the highest point in every European country. The climbs range from easy tourist hikes to serious mountaineering and everything in between, and Europe’s High Points gives various different routes up each peak. Whether you’re in need of a new challenge and want to bag all 50, or if you just fancy seeing the crowning glory of a few countries from the Arctic Circle to the Sierra Nevada, you’ll be inspired here. For those who have finished the Wainwrights or Munros and are looking for a new challenge, how about visiting the highest point of every country in Europe? This book devotes about 4-5 pages to each of the 50 country summits, in each case with a general description, main and alternative routes, information on local transport and accommodation. This is a well-conceived and nicely-written book with plenty of interesting reading and ideas than can be enjoyed by the practical and armchair peakbagger. 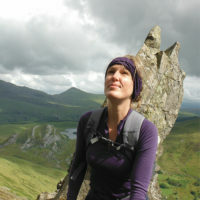 Rachel Crolla is an outdoors all-rounder who loves hiking, biking, scrambling and climbing. Rachel is an outdoors writer and photographer who is also trained as a journalist and teacher. She has hiked and climbed across the UK, Europe and the USA. In 2007 Rachel became the first woman to reach the summit of every country in Europe, and co-wrote the Cicerone guide book Europe's High Points soon afterwards. She is passionate about enthusing the next generation of hikers and cyclists with a love of the outdoors. Carl McKeating is from Yorkshire. He is the co-author with Rachel Crolla of the books, Europe's High Points and Walking in the Auvergne published by Cicerone. 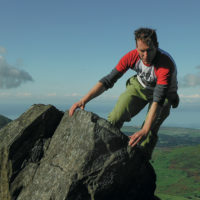 A rock climbing and mountaineering enthusiast, in addition to ascending all of Europe's national high points, in 2010 he completed a long-standing ambition to climb all the routes in Ken Wilson's Classic Rock which he followed with a three-month climbing and mountaineering tour of America. A qualified English teacher, in 2014 Carl started work on a doctorate about Mont Blanc in British Culture.